Rodrigo Bivar, “Dia algum,” 2015. Oil on canvas. The painter Rodrigo Bivar, like many others before him, decided to leave a familiar place. And, as with all drifters, reality is not given; it must be re-earned. Bivar, known for his figurative painting, has abandoned his old system after ten years to experiment with abstraction. The transposition of photographic references, which until recently marked his artworks, to this new situation of reduced geometric compositions, does not seem to have been “soft” for him, to agree with the words of the art critic and art historian Tiago Mesquita, who signs the show’s catalogue text. The severe arrangements with different colors in sober tones, areas not fully met, rectangular strips with spaces and asymmetries in passages from one to another; sometimes seem a little lost. Made in oil, all have slight imperfections, understood here as references and abstract appropriations of historical and architectural residues of Lapa, a neighborhood in the west of São Paulo, where the artist’s studio is located. Lapa seems to have been the safest route for Bivar’s walk through this new, uncertain road, serving as some kind of inspiration for the artist to dive into rectangles. The reason for this decision is understandable. But, even so, it is clear that there is still a long way for the artist to go. The colors and shapes do not reflect the composition of the neighborhood and the paintings themselves do not satisfying visually. Cartography, as a conceptual practice defended by philosopher Gilles Deleuze, brings light to Bivar’s paintings as attempts at mapping the imaginary spaces of painting, validating his artistic release from the expectations of representing static objects. I consider this new body of work as in process, and embrace the inherent tensions of that state as an incubation of the same external forces that once materialized figuratively, and now undergo a new pictorial sedimentation. This sedimentation gathers those tensions in the form of asymmetric strips, rectangles and subtle spaces. Even in a state of drift, those new abstractions seem to emanate a pictorial residue that will hopefully develop in future work. What remains is the curiosity to see this possible unfolding. 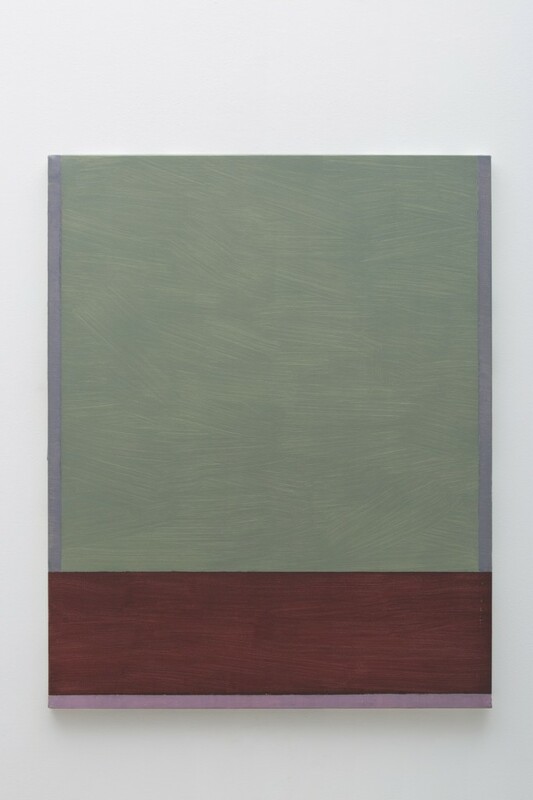 Rodrigo Bivar shows through June 6 at Galeria Millan, Rua Fradique Coutinho, 1360 São Paulo.